Tic Tac Trance #033 Replay available! 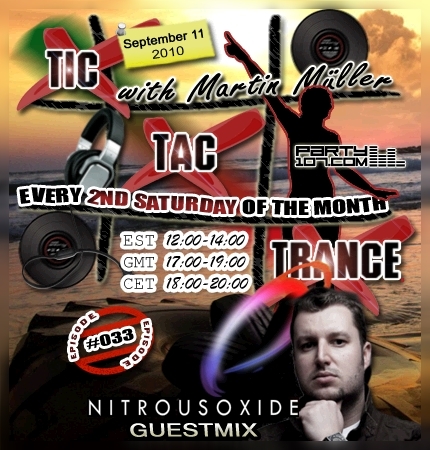 I’m really pleased to announce that Nitrous Oxide provides a guestmix for Tic Tac Trance #033 on September 11, 2010 @Party107.com! He’ll spin some extended versions of Dreamcatcher and there will be some surprises aswell! My job for the first hour is to warm you up with a mixture of deep & progressive tunes.